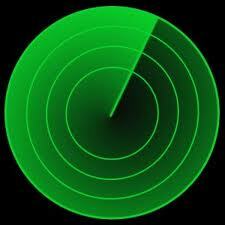 Getting on the job search radar! I have spent the past week with two different women, of two different ages. Their backgrounds could not be further apart. One is a young graduate, seeking entry-level employment, the other a woman in her 40s, with extensive supply chain and procurement experience, as well as an MBA. She has taken an eight year parenting break, relocated internationally with her husband and is now dealing with the inevitable challenge of explaining motherhood and her CV gap. Both want to enter the workplace. Both are struggling. Both are drifting off the job search track and are M.I.A. Despite feeling they had nothing in common, even just idle chat reveals the numerous common elements. Not only were they simply failing to get the jobs they wanted ( when they could even find a job they were interested in) they were receiving no response to their CVs, sometimes not even a rejection letter. Identify and articulate transferable skills. It doesn’t matter how you do this but this is a critical exercise, taking time and thought. I repeat my mantra – if you don’t know what you’re good at, how do you expect anyone else to know? Recruiters and hiring managers are not telepathic and don’t have the time to drag it out of you. This basic but critical exercise leads to the creation of an effective mission statement and elevator sounds bites. CVs should stop disappearing into cyber space and interview performance will be strengthened. If there is any hesitation in delivering your USPs – practise and practise again! Establish and develop a professional online presence. This is vital for anyone, male or female, young or old, entry-level or transitioning. Failure to do this is tantamount to professional suicide. The entry-level woman had received no advice from her university careers advisor to create this type of profile, which in my view is a scandal in itself! Careers advisors – read my open letter! The older candidate needs to resurrect and tap into her existing network from her days as a professional woman and connect with them virtually on platforms which simply did not exist when she was in the workplace ( LinkedIn, Twitter, Google +) This small step shows you care about your professional image and that you are current in your approach. Your LinkedIn profile url can also be used in an email signature or on other online profiles as a way of extending the reach of your CV. Create a modern CV with targeted keyword usage. Their current versions are probably not getting past ATS ( Applicant Tracking Systems) or coming to the attention of recruitment sourcers. 97% of CVs, it is maintained, are not read by a human eye! Once again this could account for a failure to obtain an even a first interview. Most jobs (estimated at 85%) are not advertised. Creating a strong online presence and strengthening a personal brand will drive traffic to your professional profile. It’s no longer about looking for a job – it’s also about raising visibility to ensure you are found. Many jobs are also only advertised on LinkedIn. There is no substitute for strategic networking at any age and stage. No matter how young you are, or how long it’s been since you were in the workplace, we are all connected to someone! Have some simple, but good quality business cards printed – you never know when you need them! Connect and re-connect. Join networking groups and professional bodies especially if any membership has lapsed during a career break. Be active. Inactivity is not just a barrier to getting top jobs, it’s a barrier to getting any job! It’s also a great way to beat negative thinking, and maintaining your confidence, vital in job search. It also gives you data to monitor, from which you can make any changes to your job seeking strategy. But most importantly never give up. The estimated time to get a job is reported to be on average a minimum of 7 months currently. If you carry on struggling – seek professional help. It will be worth it in the long-term! “The golden rule is that there are no golden rules.” said Mr George Bernard Shaw and nowhere is this more applicable than the job search sector when it comes to CV creation. We loves rules. The sector is heavily populated with books, articles and blogs dealing in absolutes, usually including “always”, ” never” and ” how to” tips. Many people invent these rules, some globally famous, some only famous in their own coffee breaks. Large numbers of rules fizzle out just as soon as they are created, others endure from one decade to another. Back in the day, a hard copy CV was the norm. Today, as the triage of candidate applications increasingly uses sophisticated technology and software, new guidelines are required for job seekers, as old assumptions become outdated. When there is human interaction most of the golden oldie rules are clearly still valid. Although times and technology may change, generally people don’t, so strong basics will always have relevance. Now job search needs to be strategic and flexible and each situation viewed on its merits. That’s why it’s called job search strategy! This doesn’t make the job seekers task any easier, because the answer to any situational question will frequently be “it depends on the circumstances”. One of the most hotly debated questions is on the ideal length of a CV. That also depends! The two most common situations that job seekers will encounter with regard to their CV are: uploading it electronically on to a company data base, or sending it by email to a central HR department, where it will be subsequently uploaded. At some later time, your opus will eventually be screened by ATS , before a human being ever claps an eye on it. Here keyword-searchable content is mandatory to avoid slipping into, and remaining in, resumé oblivion. The second occasion will be where a CV is emailed or given (printed) to a known contact. For many years having a one page CV in one’s portfolio was considered to be the major weapon in the arsenal. Where this rule came from I have no idea, but I see many people reducing text to size 8 font and eliminating all margins to cram their career content onto 1 page of A4. 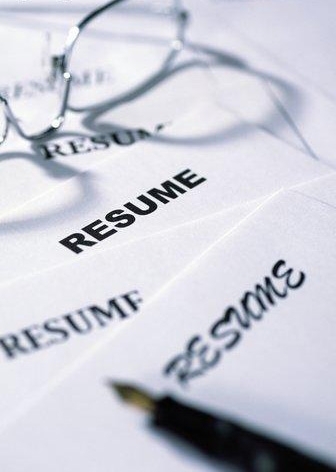 Today, when most resumés are read on a screen (even a phone) and are uploaded onto company databases and accessed by keyword searches, resume length takes on a new significance. Short in these cases may not actually be sweet. Much confusion can be eliminated with a clear understanding that the purpose of a resume is generally considered to be the instrument necessary secure an interview or meeting. The purpose of a meeting is to get the job. This poor group is possibly the most beleaguered of all. 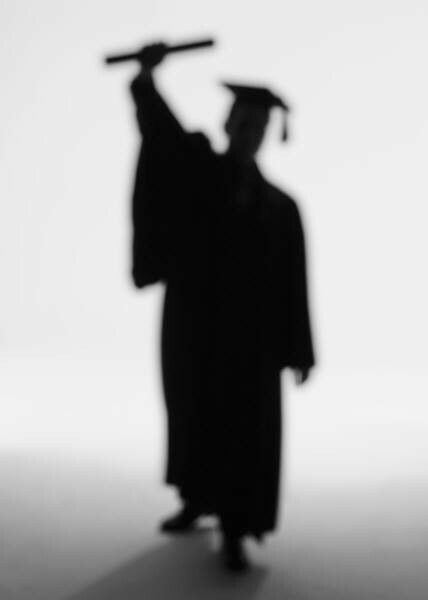 College and MBA graduates are very often counselled to ensure their CVs are one page only. This definitely depends. Many individuals in this demographic have significant achievements, have worked in multiple internships or volunteer roles, have gained international scholarships, travelled globally and excelled in extra curricular activities. Those success stories are all worthy of succinct mention with metrics, so don’t worry about spilling over into two pages. However, beware, this is not to be confused with listing mundane activities by rote. In his new resumé, a client detailed the metrics of a student bar/restaurant job, specifying the nightly headcount, staff managed and the number of covers served per sitting. They were extremely high and it takes special skills to deal with that kind of volume. Sufficiently impressed, a hospitality management company called him for interview and offered him a job. The hiring manager factored that experience into the decision-making process. I have also coached entry-level candidates who have represented their countries on national junior teams or started their own businesses, some with pretty good turnover. They are worthy achievements and speak volumes about their talents, discipline, commitment and energy. For most of the job seeking population a two-page resume would be considered to be a good average in which to show case any skills and achievements. Everyone should be able to do this and the discipline will encourage focused thinking. There should be no need to pad a resumé out with extraneous and repetitive vocabulary. Font size should be 11/12 points, with adequate margins to create enough white space to make it readable. Recruiters take on average 15 seconds read a resumé and focus on the mission statement (quite different from the old-school personal objective) for an estimated 8 seconds. With special thanks to Anne Perschel, Lise Moen, Wally Bock and Tanveer Naseer. Sages all!